Forget the team’s record during the eight practice games played. That stat means absolutely nothing. Of far bigger concern is the roster construction. No, the sky isn’t falling. The team’s core – including Anze Kopitar, Jeff Carter, Drew Doughty, Jonathan Quick, etc. – is still very much alive and well. Let’s just say the supporting cast didn’t quite come together as planned. 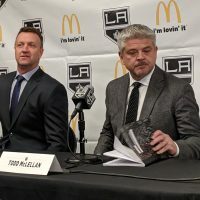 As we’ve been reporting for several weeks, GM Rob Blake had been preparing to submit a roster of 22 players in advance of the NHL mandated deadline tomorrow at 2pm PST. Astute readers will immediately notice that is one shy of the 23-man roster limit, which is by design and for salary cap saving purposes. Those 22 players were to be comprised of 13 forwards, seven defensemen, and two goalies. Nothing has changed on that front… well, other than the 22 names listed. 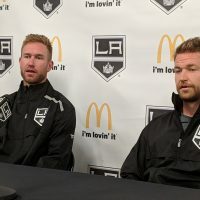 Prior to the Jonny Brodzinski injury, Blake’s group of 13 forwards was to include: Mike Amadio, Brodzinski, Dustin Brown, Jeff Carter, Kyle Clifford, Alex Iafallo, Adrian Kempe, Anze Kopitar, Ilya Kovalchuk, Trevor Lewis, Tanner Pearson, Nate Thompson, and Tyler Toffoli. Much to the chagrin of many on social media, there just wasn’t room for top prospect Jaret Anderson-Dolan. Again, things changed with the Brodzinski injury; which opened the door for the 19-year-old forward to slip into the plans. 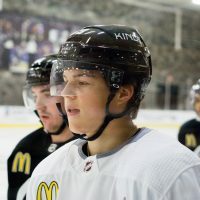 And although Anderson-Dolan making the Opening Night roster has been stealing the headlines, looming in the background is a larger question – what happens when he is, most likely, sent back to the WHL in a few weeks (a move necessary to avoid burning a year off of his Entry Level Contract)? Which prospect would be called up from AHL Ontario to fill that spot? After all, Brodzinski is likely sidelined for about three months, so he won’t be available early enough to solve this dilemma. Over the weekend, Saturday’s game vs Anaheim brought another hit to any plans laid out by Blake and head coach John Stevens. A shot by Anze Kopitar led to a Brown broken finger and it was back to the drawing board. From what I've gathered, there has not been a change in the plan. Still looking at opening w/ 13 forwards. Nothing official, yet Austin Wagner will most likely get the roster spot. So, young Austin Wagner is now expected to round out the new group of 13 forwards. What’s the quick book on Wagner? We have a detailed scouting report on him here. Just watch Wagner's speed/separation in the first six seconds of this clip. Jaw dropping. Austin Wagner on his speed – "I guess it’s just God’s gift. I try my best to use it out there and use it in the right ways." We can’t depart this train without also hitting on the defense and goaltending. Jack Campbell will be the backup for Jonathan Quick. Yes, there have been quite a few fans who were calling for Peter Budaj to fill that role – especially after some of what they saw during preseason. That was never in the cards, though. On the blueline, it’s been every bit of a harrowing tale, with plot twists throughout camp. Don't envy GM Rob Blake one bit this weekend. Very tough decisions ahead. – Send Brickley to AHL for a month. Doesn't need waivers. Gives him a chance to adjust to pace. Last year Iafallo signed with LA as college UFA. 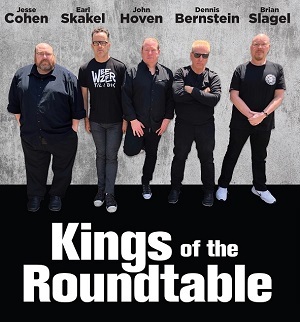 Made the Kings. This year, Brickley – a highly coveted college UFA – signed with LA. If he makes the Kings, Blake has HUGE currency with future college UFAs. While Blake certainly didn’t consult with us, from an asset management perspective, sending Brickley to the AHL (for now) is the right call. If you put Fantenberg/LaDue on waivers and lose either, you’ve really gone all in because if any of your NHL d-men go down, there isn’t much to draw upon in Ontario. Kale Clague and Austin Strand have shown promise, but they’re both likely at least a year away. Thus, from an experience and readiness standpoint, this was the right call. At a very minimum, Derek Forbort needs to play in 5-10 games, so management can be absolutely sure he is 100% healthy before looking to bring Brickley up. 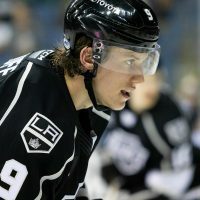 Thus, the seven defensemen on LA’s Opening Night roster will be: Drew Doughty, Oscar Fantenberg, Derek Forbort, Paul LaDue, Alec Martinez, Jake Muzzin, and Dion Phaneuf. What about Emerson Etem? We continue to get hounded with that question. The Emerson Etem situation continues to sort itself out. However, as we've mentioned before, that should/would end up being an AHL deal. He is not expected to be one of the 13 in LA. 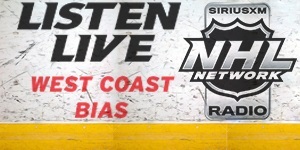 Later this afternoon, the Kings are expected to announce something official on Etem. Fine. Now that the 22 players are known, how will Stevens construct his opening night lineup? That’s a million dollar question at the moment, and one that he probably doesn’t even have a firm grasp on at this very moment. Today is an off day for the players, they’ll be attending a golf tournament. Practice will resume tomorrow morning at 10am. That will likely give us the first glimpse into what Stevens is thinking. However, it may also evolve over Wednesday and Thursday. However, with Game 1 vs San Jose, it’s really hard to move Carter out of that 2C slot. As for Anderson-Dolan, we’d pencil him in for Sunday’s game vs. Detroit; perhaps he’s even reunited with Wagner. Regardless, Blake’s difficult decisions are behind him at this point. Now it’s up to Stevens to construct a winning lineup out of the 22 players available to him. Where does that leave Vilardi? He is out injured, for now.